PPG’s state-of-the-art polymer thick film conductive inks are uniquely formulated to meet a wide range of printed electronic circuitry applications, including printed radio-frequency identification (RFID) and mobile antennas, membrane switch and capacitive touch panels, flexible OPV solar panels, printed sensors and medical biosensors. Powercast, established in 2003, is the leading provider of RF-based wireless power technologies that provide power-over-distance, eliminate or reduce the need for batteries, and power or charge devices without wires and connectors. Founded with the vision of enabling untethered devices powered over the air, Powercast continues to create the most efficient, safe and highest power-harvesting technology achievable while complying with the Federal Communications Commission (FCC) and other global standards. Powercast’s intellectual property portfolio includes 46 patents worldwide (21 in the U.S.) and 30 patents pending. To learn more, visit www.powercastco.com. We protect and beautify the world is a trademark and Teslin and the PPG Logo are registered trademarks of PPG Industries Ohio, Inc.
Powercast, Powerharvester, PowerSpot and the Powercast Logo are registered trademarks of Powercast Corporation. 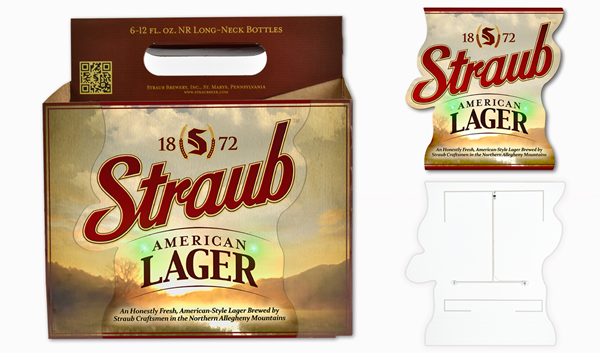 Straub is a trademark of Straub Brewing Inc.